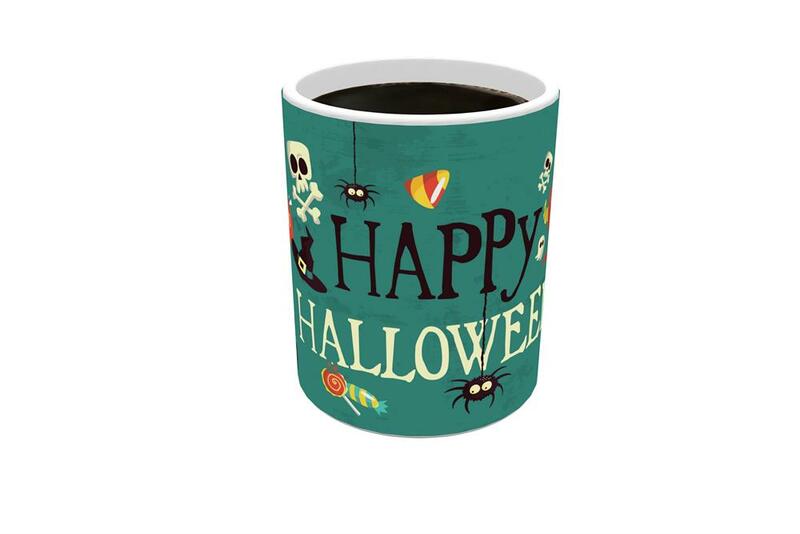 Trick-or-treat yourself with a “zero-calorie” 11 oz. 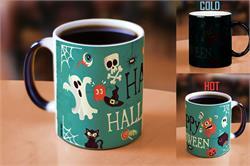 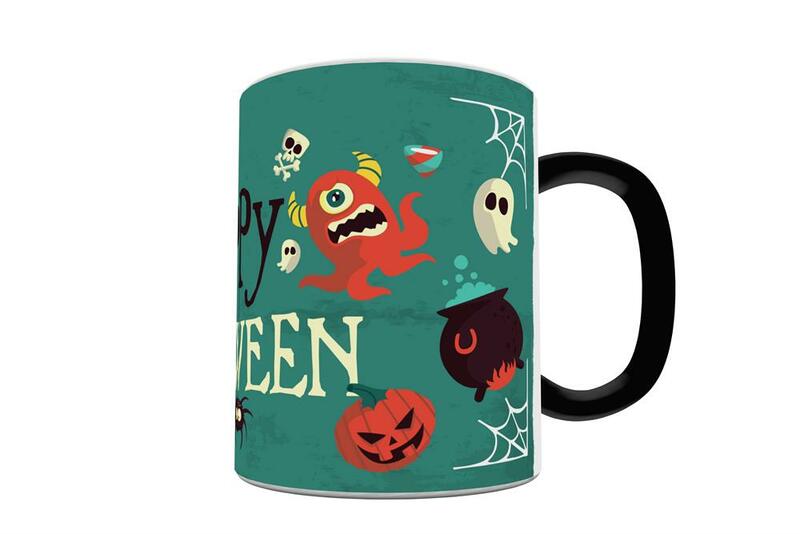 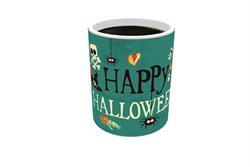 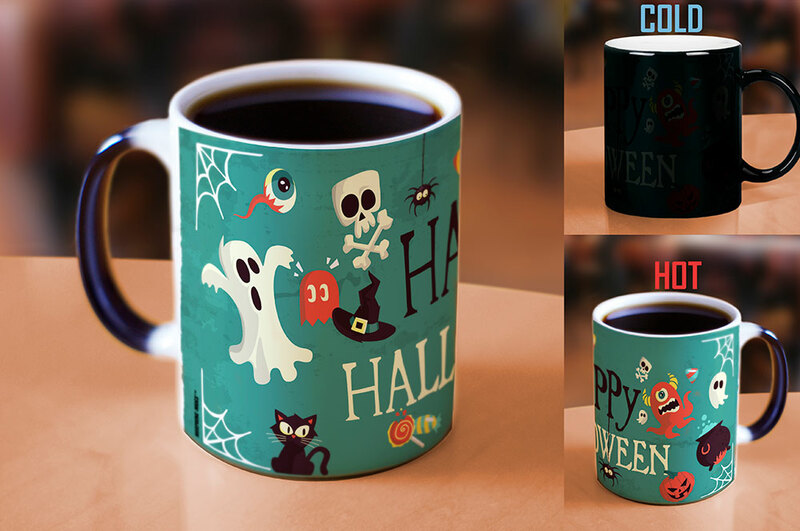 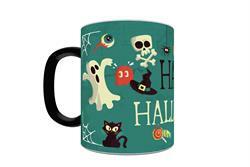 ceramic mug for a Happy Halloween! 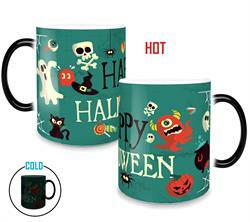 Add hot liquid and it “magically” transforms the exterior from solid black to a turquoise background decorated with a group of not-too-scary Halloween haunters.